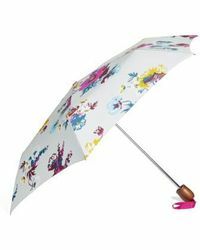 Launched by Tom Joules in 1989, Joules is an accessories and apparel brand renowned for its cheery disposition that radiates British good taste. 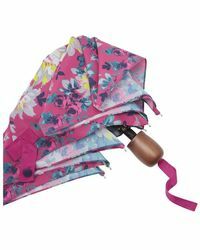 Initially finding form with lines of characterful rainboots, today the brand offers all the core components to a well-rounded outdoors repertoire. 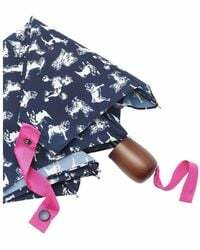 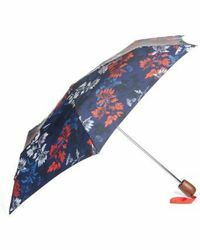 This line of Joules umbrellas will ensure that rain will never put a dampener on your style. 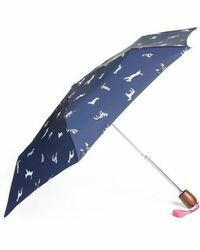 Bearing the label's signature prints, this collection features numerous innovative details 'such as double canopies geared to windy walking terrains. 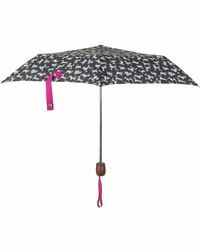 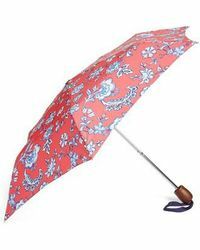 For a wet weather basic every woman needs, look no further than Joules umbrellas.